Yes! I want a demo! Managing wellness challenges can be overwhelming. Wellable makes it easy. 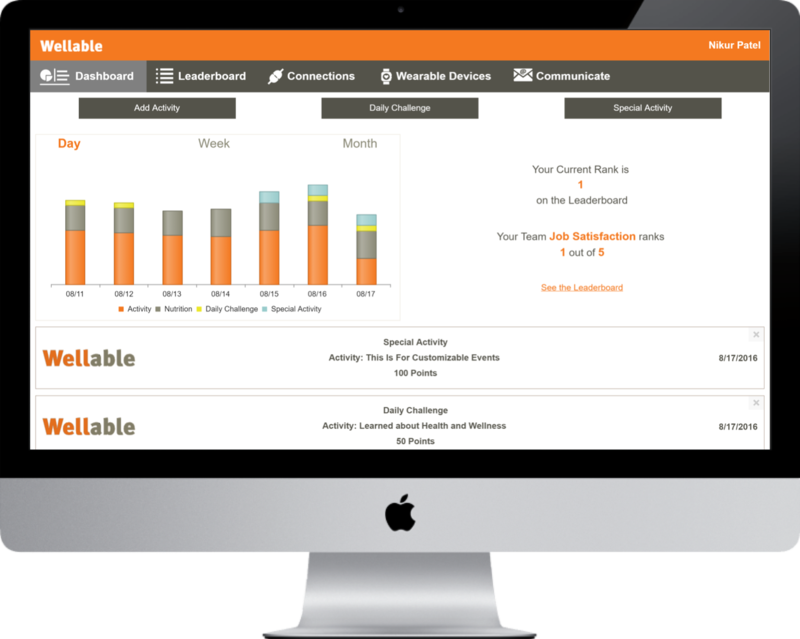 With dozens of connected apps and devices, Wellable allows your employees to engage in wellness on their terms. Whether you want to run a step challenge, a healthy eating campaign, or a mindfulness series, our platform can accommondate your needs. Employees pick the apps and devices that make the most sense for their lifestyle, connect them to Wellable, and watch them automatically sync with their accounts. Schedule a time with a Wellable Specialist to chat about your specific needs and review a demo! Fill out the form above or give us a call at (617) 329-9399.